A delegation of leaders of the Party Committee, People’s Council, People’s Committee, Vietnam Fatherland Front of Ho Chi Minh City led by Politburo member, Secretary of the HCMC Party Committee Nguyen Thien Nhan laid wreaths and offered incense to pay tribute to heroic martyrs at the City's Martyrs Cemetery in District 9 on February 9. Accompany in the city delegation were Chairman of the Ho Chi Minh City People's Committee Nguyen Thanh Phong, Chairwoman of the city People's Council Nguyen Thi Quyet Tam, Deputy Secretary of HCMC Party Committee Vo Thi Dung, Chairwoman of Vietnam Fatherland Front Committee in Ho Chi Minh City To Thi Bich Chau. The delegation also visited and commemorated war heroes who dedicated their lives to the nation at Lac Canh Cemetery. 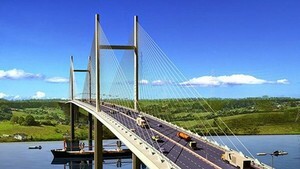 On the same day, Standing Vice- Secretary of HCMC Party Committee Tat Thanh Cang led another city delegation of the HCMC Party Committee, People’s Council, People’s Committee and Vietnam Fatherland and Front to pay tribute to war heroes Ben Duoc Monument Temple for Martyrs, Martyr Cemetery of Cu Chi and HCMC Policy Cemetery. 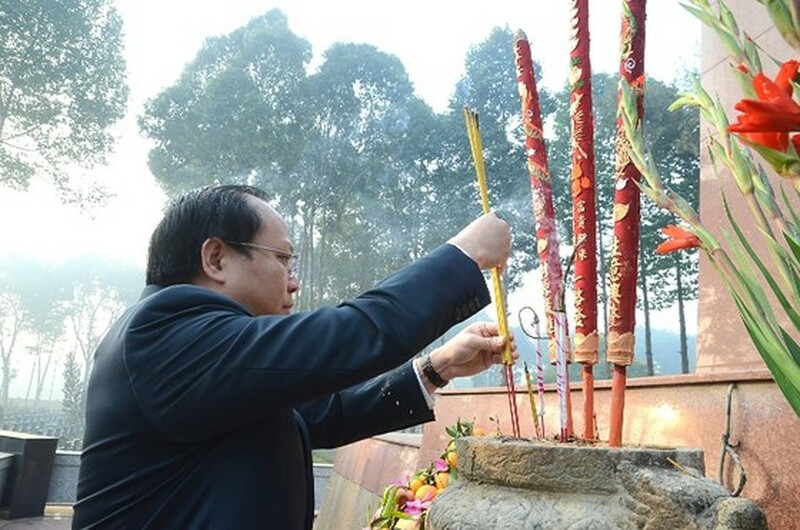 Standing Vice- Secretary of HCMC Party Committee Tat Thanh Cang offers incense to pay tribute to heroic martyrs at Martyr Cemetery of Cu Chi. 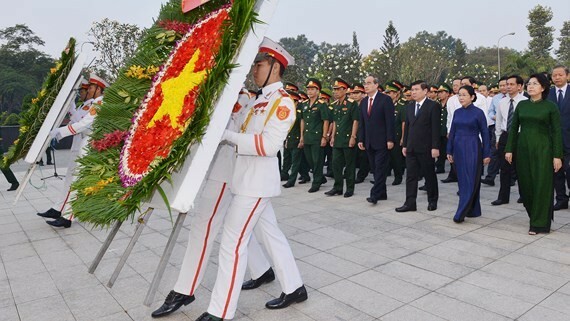 A delegation of leaders of the Party Committee, People’s Council, People’s Committee, and Vietnam Fatherland Front visits Martyr Cemetery of Cu Chi.